Move sliders to form you desired 2 x 2 matrices for A and B. 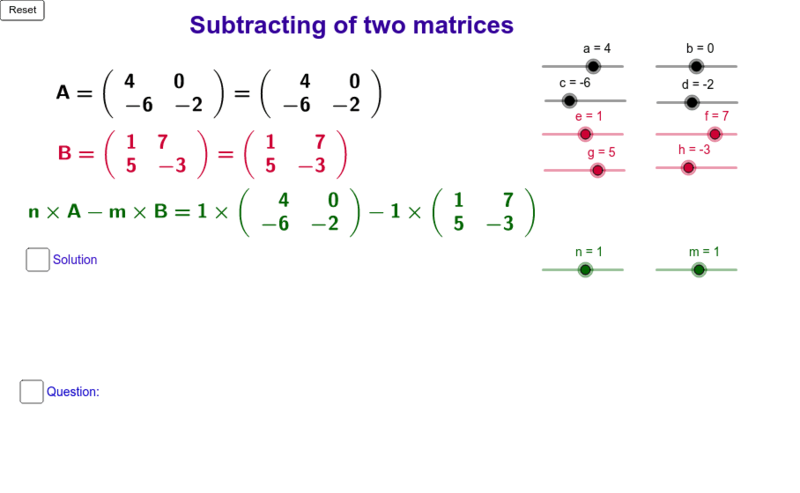 Move the n and m sliders to select a multiplier for each matrix. Check your Solution. Test you learning with the Question. This applet can be used by teachers in a demonstration mode in the classroom or teachers can have students load it on their own computers as a worksheet to be completed for a grade.